THIS REPORT IS INTENDED TO CAPTURE THE OUTLOOK OF EARLY STAGE COMPANIES IN INDIA FOR THE YEAR 2018. INNOVEN CAPITAL INDIA ANGEL REPORT 2016: INFOGRAPHIC. 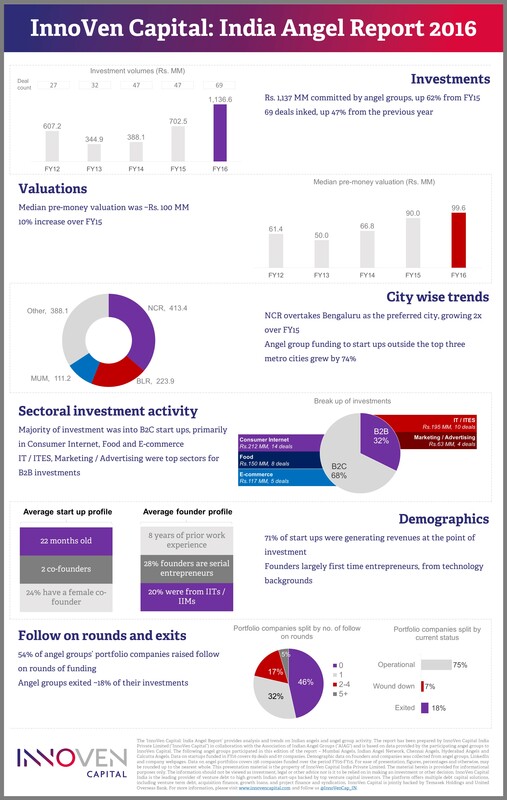 INNOVEN CAPITAL INDIA ANGEL REPORT 2015- INFOGRAPHIC..